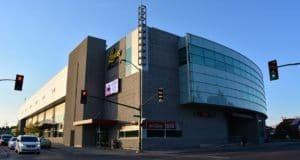 Excitement is building in Kingston with just three weeks to go before the 2013 Scotties Tournament of Hearts moves into the K-Rock Centre and the best women’s teams in the country compete for the national title. The anticipation for one of the premiere events in competitive curling was evident during opening matches of the Cool Shots Club Championship, January 20 at the Royal Kingston Curling Club. Twenty-two teams, with several members of the Napanee Curling Club in the mix, took their best shots in the small-scale version of the roaring game. Club Cool Shots prizes include cash, event tickets and the opportunity to play in the championship finals on opening weekend of the Scotties in the HeartStop Lounge. 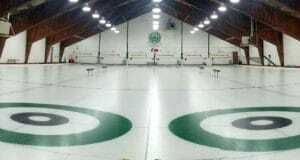 Winners from the first round of action were Darrell and Keegan Scott, representing the Napanee Curling Club, along with Linda O’Sullivan and Bernie Kay, Derek and Pamela Prendergast, and Phil Tomsett and Kirk MacCrae from the host club. The final four qualifying teams will come out of the February 3 Club Cool Shots action at the Cataraqui Golf and Country Club. It’s open to the public, so come on down for your chance to play at the Scotties! 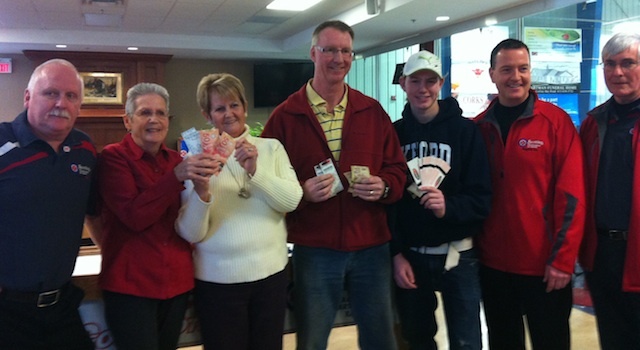 “You Gotta Be There” for the 2013 Scotties Tournament of Hearts, February 16-24 in Kingston. Get your tickets today by clicking here. Next: Introducing Curling TV: a new way to watch curling on-line! 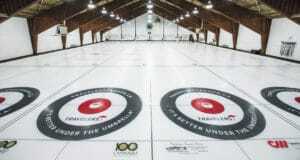 Travelers Curling Club Championship gets underway Monday in Kingston, Ont.